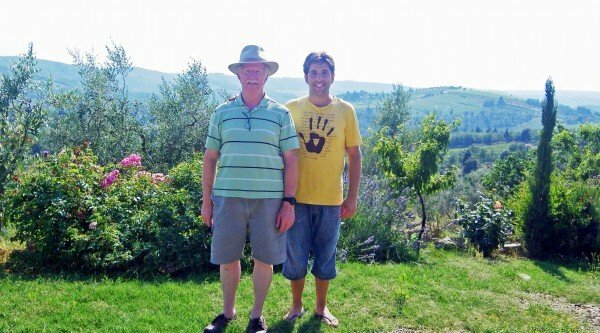 In July 2010 Charley and I arrived in Tuscany to research our newest trip, The Chianti Experience. 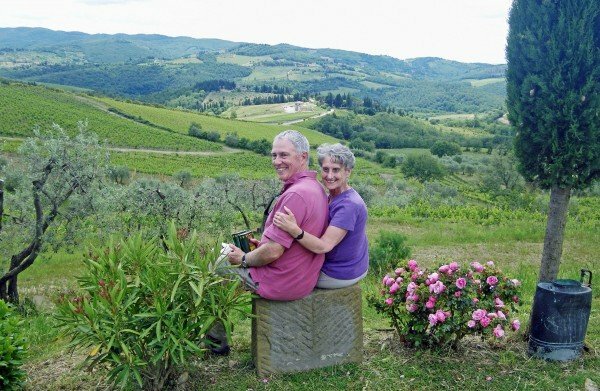 Our family had spent a month in Tuscany a few years before and we were very attracted to the Chianti area between Florence and Siena. But we were vacationing then, not organizing a small group tour. Now we were back for three weeks with the serious task of choosing the right place to stay and planning a special and interesting week for our groups. 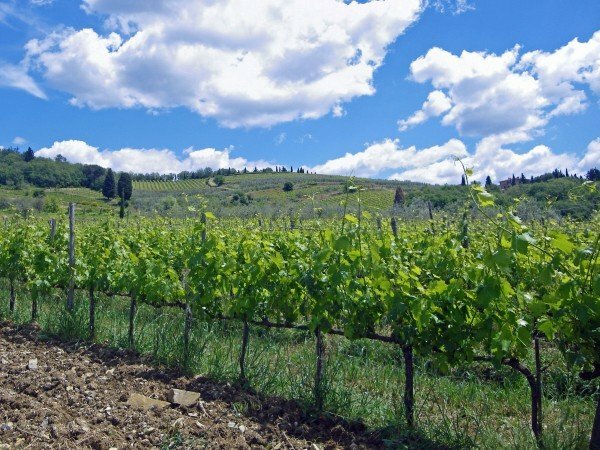 Chianti is one of the world’s most famous wine regions, and we knew we wanted to include two, maybe three, winery visits as part of our week. We especially wanted to find at least one smaller, family-owned winery that would offer a true experience… something more than the typical tour-group visit. You discover these kinds of places by word-of-mouth, so from the very first day of that three-week stay, we asked everyone we met about wines and wineries. The next morning Charley telephoned, spoke to Francesco, and arranged for us to visit that afternoon. Finally we saw the sign for Vallone di Cecione, spotted the tower of the old farmhouse, and turned down the gravel drive. I loved all the flowers planted around the property, especially the roses. We parked by a big vegetable garden and Francesco Anichini came out to meet us. He was a young man, just thirty back then, handsome and with a big smile. He took us into a small modern tasting room where we got to know each other and tasted his wines. The story of Vallone di Cecione was especially interesting. 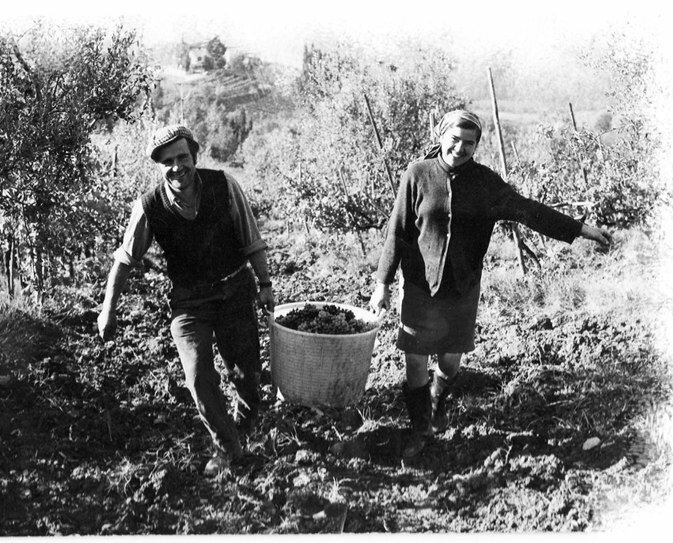 Francesco’s parents Giuliano and Anna had been tenant farmers who were eventually able to buy this small farm of eight hectares (about 20 acres) in the 1970’s. Francesco started working alongside them in 2001 to further develop the winery and the wines. 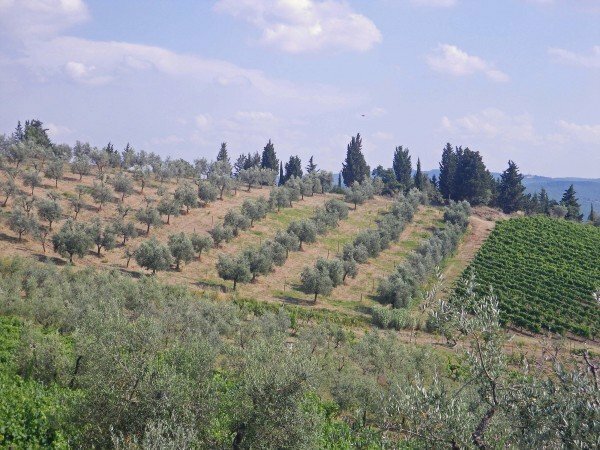 The Anichinis also produce olive oil from more than 700 olive trees. 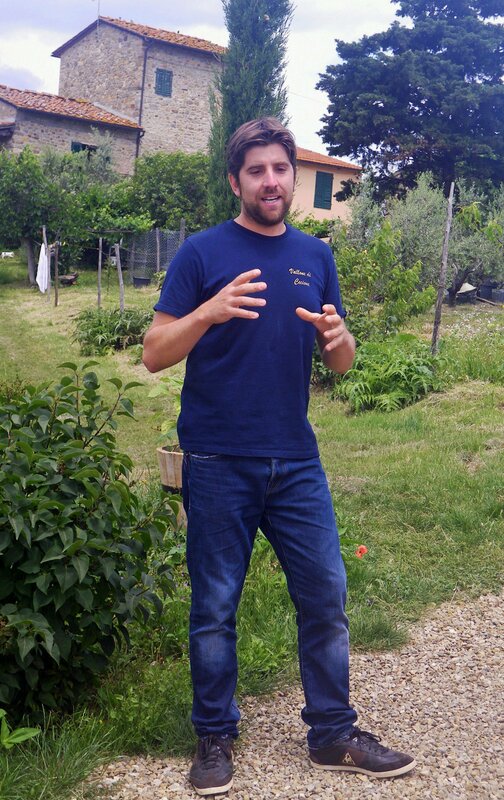 Francesco now manages the business and is the winemaker, still working very closely with his parents. 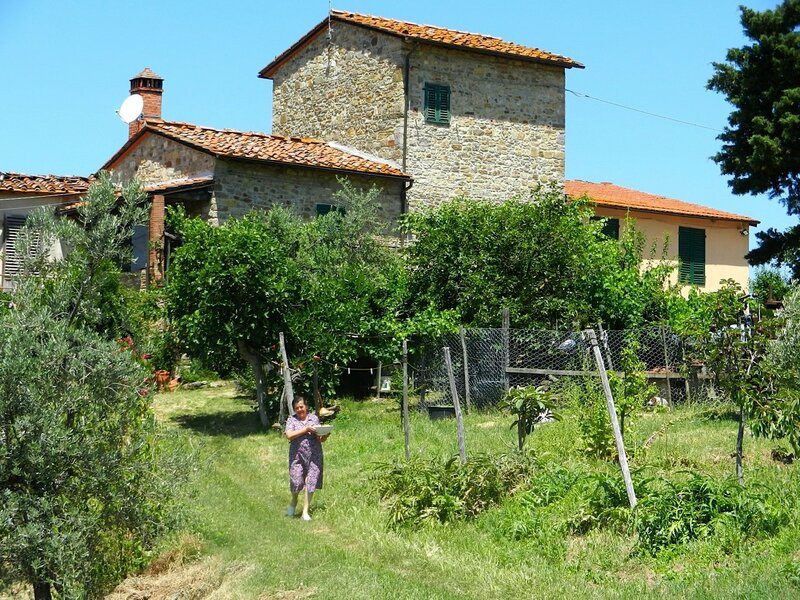 It was the perfect place to include in our Chianti Experience week. One year later we returned with our first group and had a wonderful visit with Francesco. Although it was just supposed to be a Sunday afternoon wine tasting, he and his mother served bruschetta, local salamis and pecorino cheeses… almost a meal. We didn’t need a lunch plus this small feast, and we asked if they would consider making just a few changes and hosting our group for lunch the next week. They were happy to welcome us. 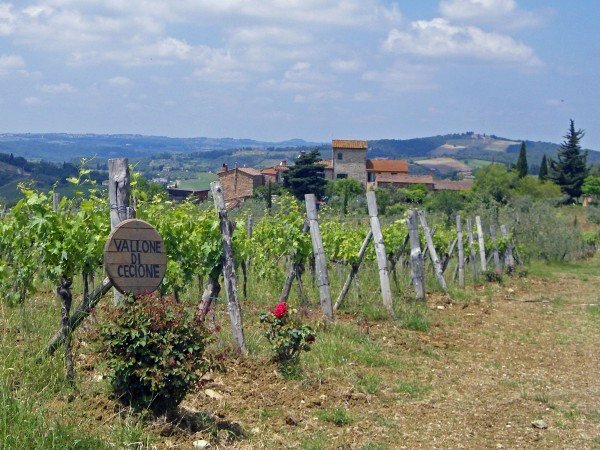 Since that first group in 2011, we’ve now visited Vallone di Cecione with seven Chianti Experience groups. Our Sunday lunch and visit with Francesco and his family is a highlight for our travelers and an afternoon they will always remember. 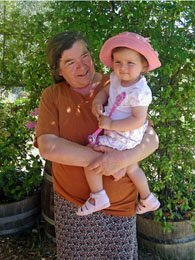 After lunch we savor the views of the Conca d’Oro, wander among the roses and vegetables, visit the cellar, and learn more about the lives of this local winemaking family. Most of all it’s a chance to relax in a simple and beautiful environment with these very special people. We’ve also loved getting to know Francesco’s wife Angela, who is usually with us on these Sundays. She runs a different kind of family business in Chianti: Grazia Giachi, a fine linen company with stores in Greve, Florence and Castellina. Lingerie, baby clothes, embroidered linens for the bed and table… everything is handmade and exquisite. Angela is the fourth generation of women in her family to run this business. 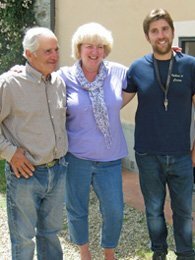 Angela and Francesco are a hard-working dual career couple in the Chianti countryside. Their passion for their families, for Chianti, and for the work they do is truly inspirational. 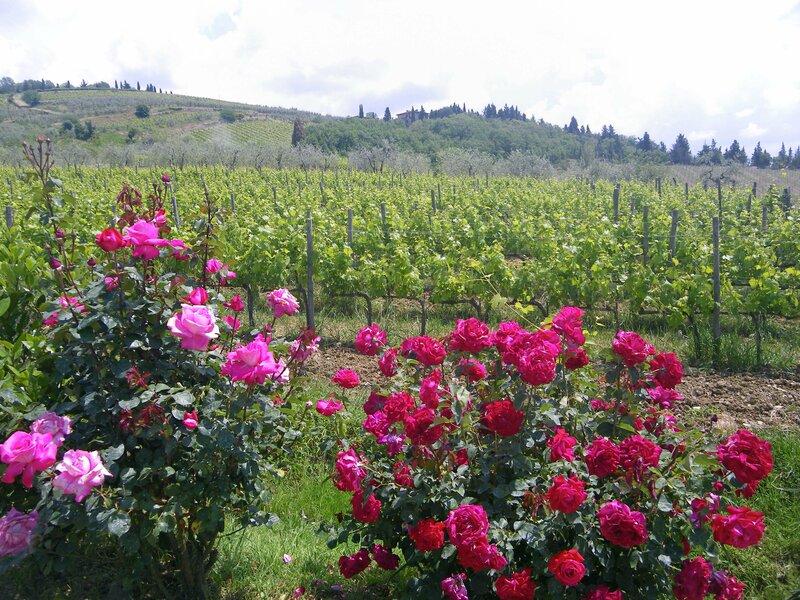 They represent an aspect of Tuscany that many tourists never discover. Many wineries in the Chianti Classico region are now big commercial operations owned by corporations outside of Tuscany and even Italy. 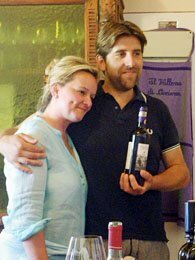 Thanks to the suggestion of a waitress five years ago, we’re blessed to have found our way to Vallone di Cecione and to have a special friendship with Francesco and Angela that extends across the miles. 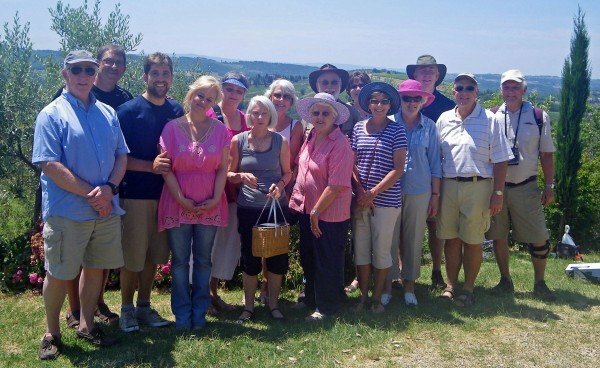 They are always so warm and welcoming, and we’re delighted to share this unique experience with our travelers during our Chianti Experience week. 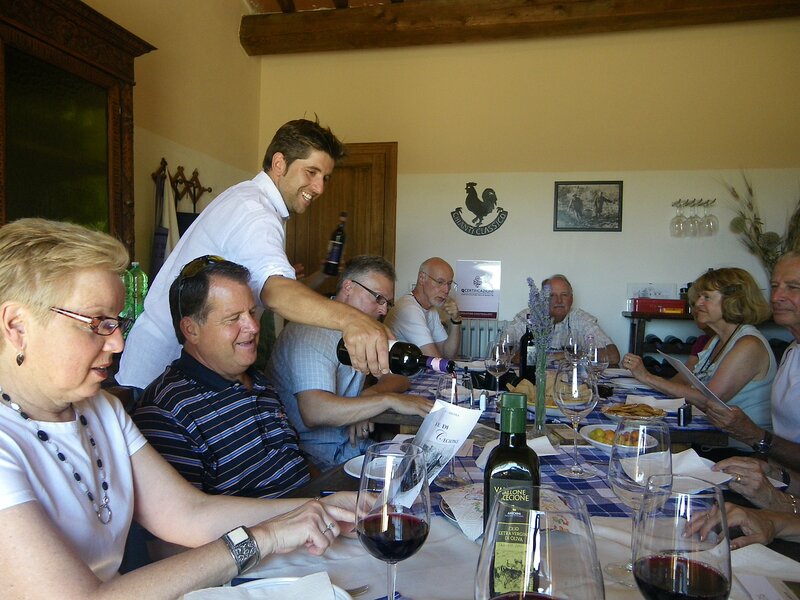 Our visit with Francesco at Vallone di Cecione is just one of many special experiences we offer during our Chianti Experience week. We’ll be back in Chianti for two groups in 2016: May 28 – June 4 and June 4 – 11. We’d love to have you join us. Francesco’s Chianti Classico wine is available in the USA through Astor Wine and Spirits at a very reasonable price. If permitted in your state, you can buy online. Shipping on your first online order over $99 is free. It looks like you had a wonderful visit at Vallone di Cecione! 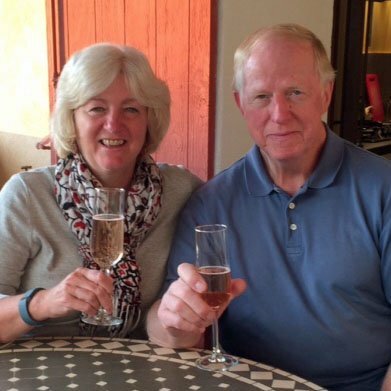 Thank you so much for sharing the photos from your trip.